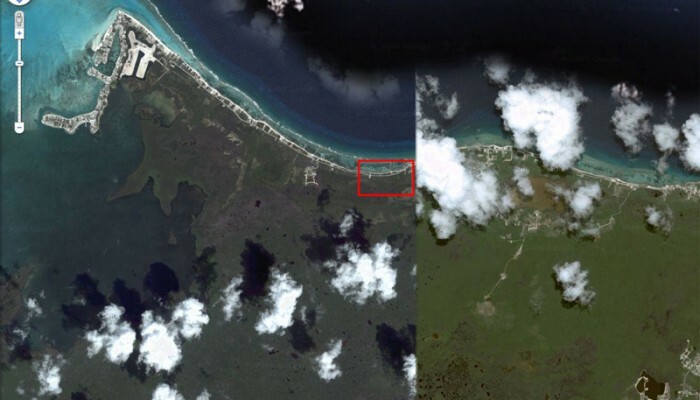 ‘Number 1 Rum Point’ is located on Rum Point Drive in the North Side registration section of Grand Cayman, Cayman Islands. Bar/restaurant and leisure facilities are a short distance away to the west and, Kaibo to the South, has further amenities including shops, docking facilities and other planning for a shopping center. Further East along North Side are schools, churches and supermarkets. 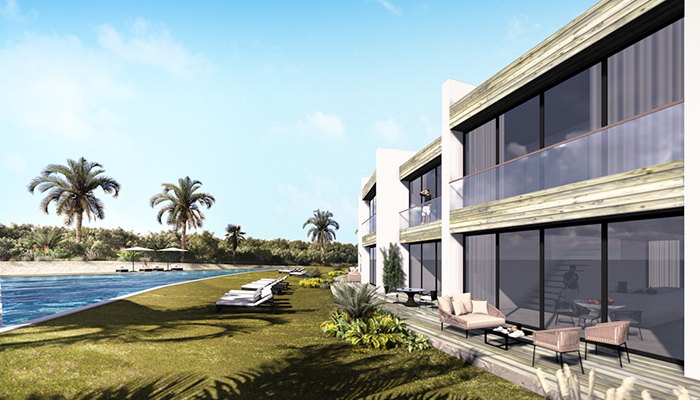 Set on an elevated position just a stone’s throw from the pristine waters of the Caribbean Sea,”Rum Point Drive ” offers access to some of the world’s best beaches and dive sites to provide owners with an enviable lifestyle combining international glamour and desert island beauty. 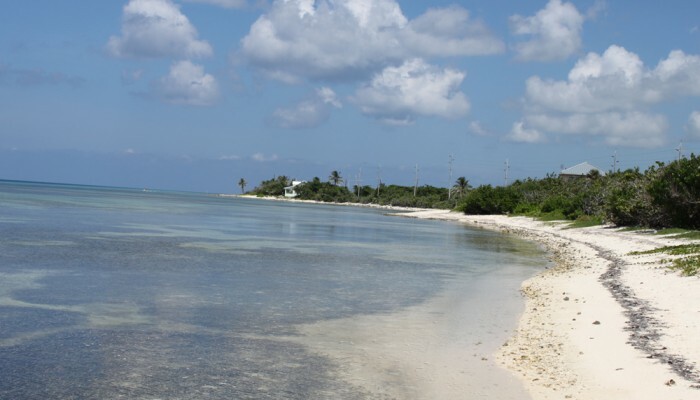 Situated in the Western Caribbean, approximately a one hour flight south of Miami, the Cayman Islands is governed under British common law and famed for the absence of direct taxation. 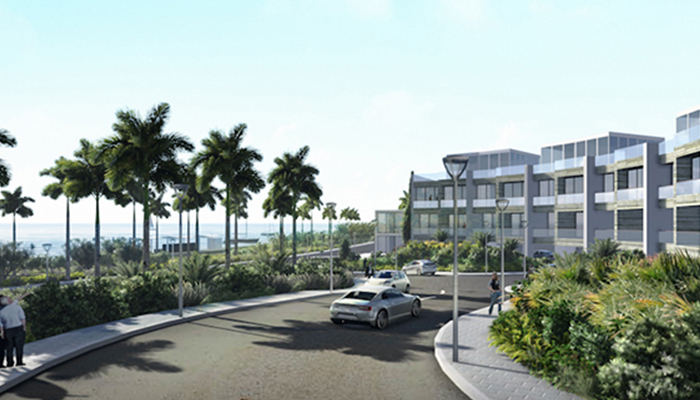 It’s 56,000 residents enjoy the highest standard of living in the Caribbean and as the 6th largest offshore financial centre in the world, its high net worth employees provide an established end user to an established residential housing market. 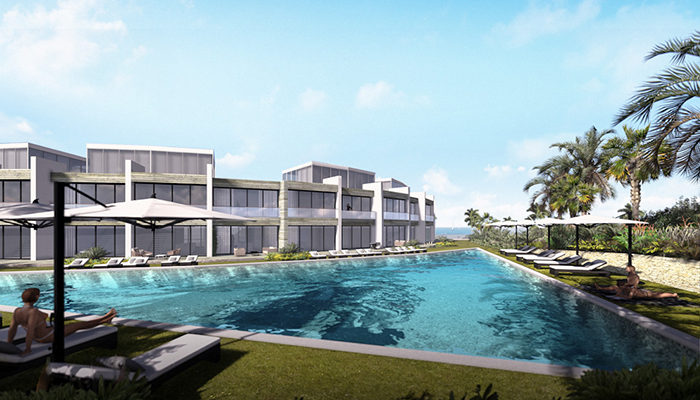 With no legal restrictions on foreign ownership of property, Freehold Title is granted and guaranteed by the Cayman Island government to provide a safe and politically secure environment for both real estate investment or holiday home ownership. 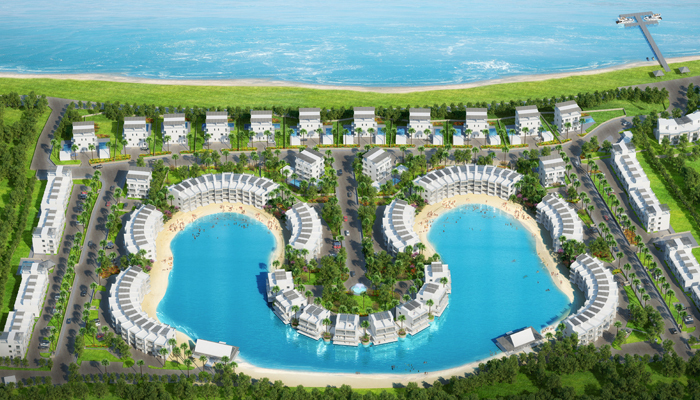 The development is to be built in phases with the 14 sea facing townhouses in the North East of the development to be built in Phase 1. These have approved planning permission and the detailed drawings have currently been submitted to the Government Building Control Unit for approval. 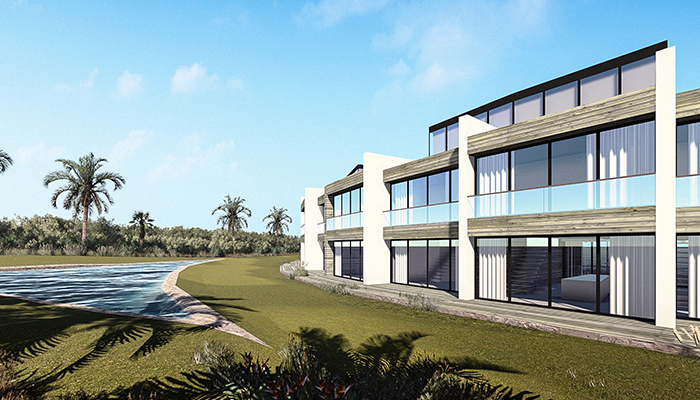 Phase 1 is a small, private collection of 14 off-plan, new build, luxury townhouses on the ultra-elite island destination of Grand Cayman. Comprising of individually styled 4 storey townhouses nestling within landscaped gardens around a private pool and sun lounging area. Each contemporary-styled residence affords stunning sea views from the roof terrace and easy access to some of the best beaches in the world. 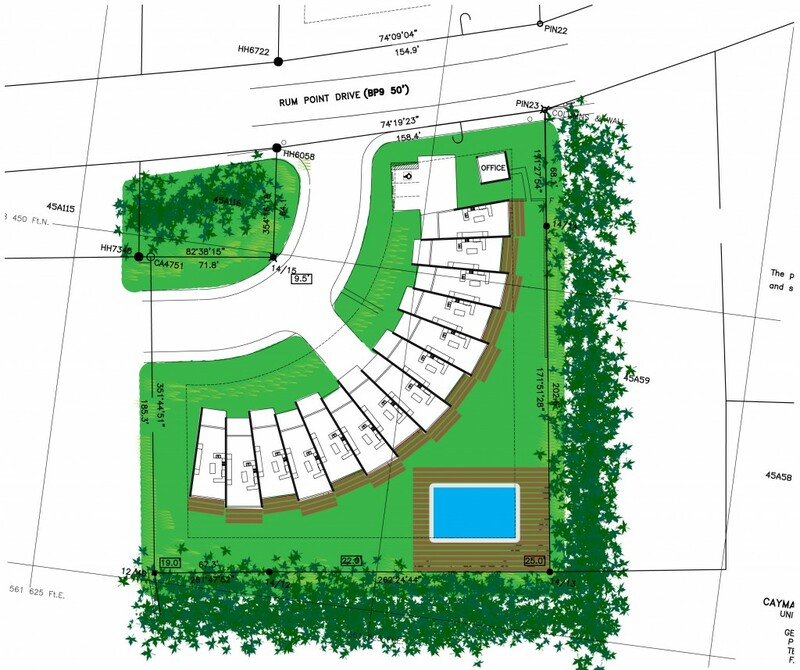 There is a choice of floor plans incorporating a large open plan living and dining area with either 2 bedroom suites on the upper floor or provision for an additional 3rd bedroom through an independent studio on the top floor. 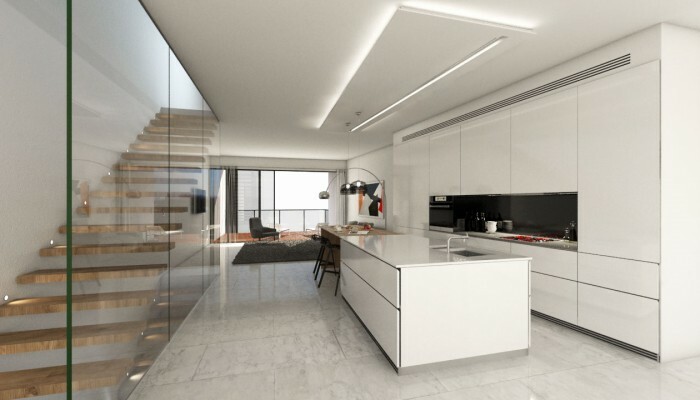 The residences come complete with quality fixtures and fittings throughout with fully tiled bathrooms and fitted kitchens including appliances. They are accessed at ground level and come with private secure garaging and off road parking. 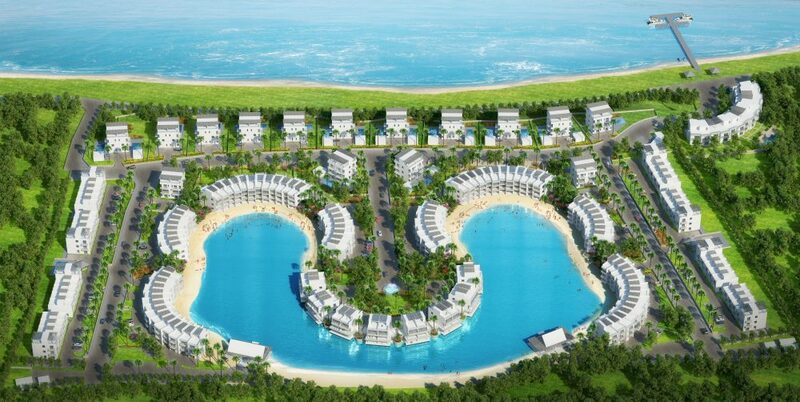 The lagoon is to be constructed by ‘Crystal Lagoons’ which is a multinational company that has developed a pioneering, state of the art sustainable technology, which allows building a maintains crystal clear lagoons of unlimited dimensions, at very low cost, anywhere in the world. 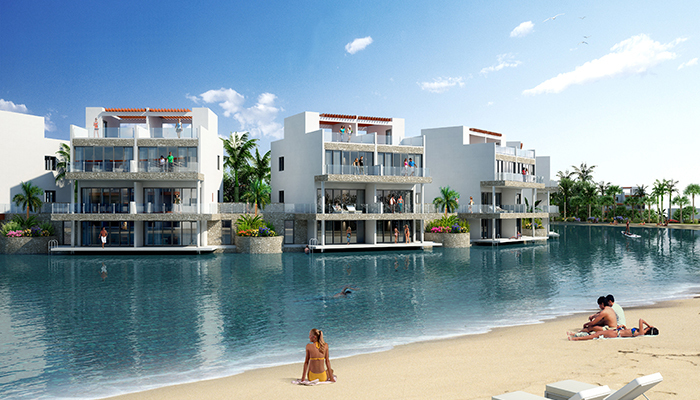 The Crystal Lagoon is the key feature behind the sales of these inland apartments because it effectively creates waterfront property. 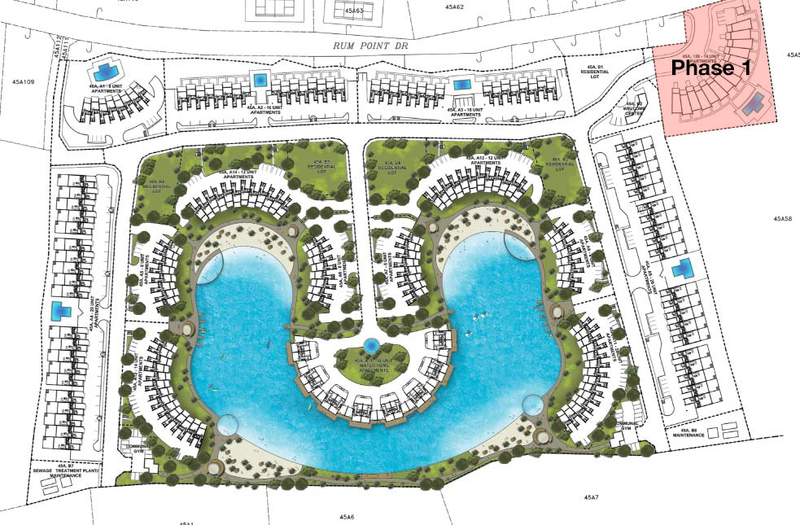 The lagoon will provide safe bathing in clean water and would enhance what can be described as resort living not seen in the Cayman Islands. 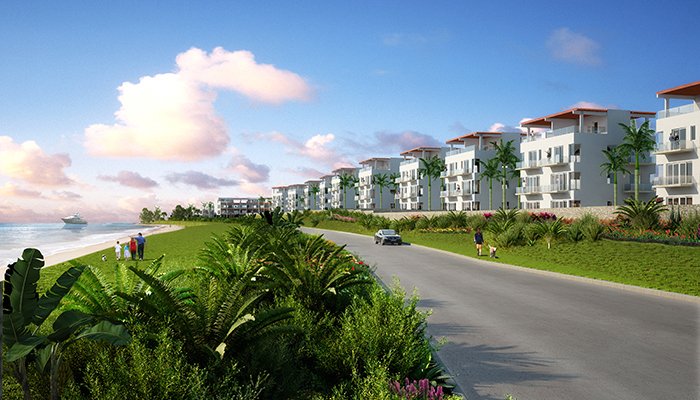 The entire development comprises of 140 apartments, 30 duplexes and 14 townhouses. 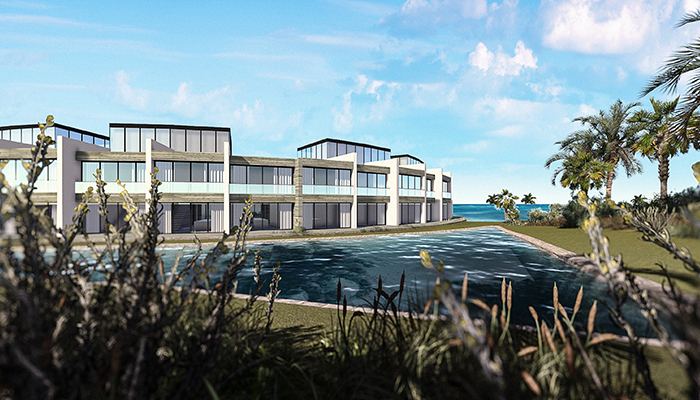 In addition there will also be a restaurant, gym, swimming pools and a ‘Crystal Lagoon’. 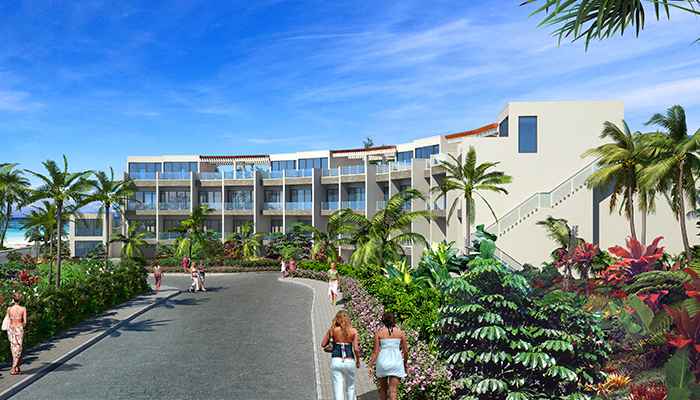 The development also has the benefit of beach access across the road, which will have a beach club and beach facilities. 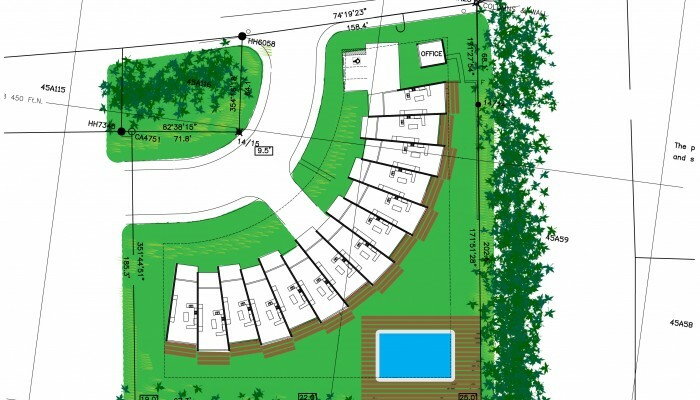 “No.1 Rum Point” offers an exciting opportunity to take advantage of the economic upturn and rising real estate market in Cayman by investing in a new off-plan development at one of the best locations on the Island at low pre-construction prices. 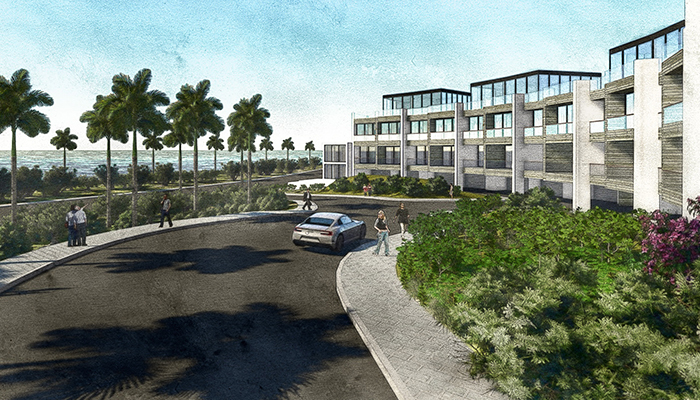 With just 14 residences available, this is a limited invitation to join the success story of Cayman and secure your piece of tropical paradise at pre-construction prices prior to the usual developer price increases over the build cycle. Benefiting from a full hands-off property management service, No. 1 Rum Point is ideal both as a “lock up-and-leave” holiday home providing optional rental incomes or a more permanent base in the Caribbean. Ownership is made easily affordable through regular stage payments throughout the construction phase which is scheduled to start Q1 2017 for delivery Q4 2018. Contact us to request floor plans, full pricing and video walk though.